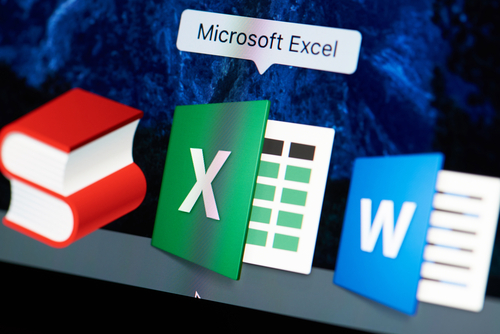 One of the most underrated tools in Microsoft Excel is the Macro. People who know how to use Macros can tell you how much time they save - but too many people have no idea how to get started with Macros. Let's keep it as simple as possible. An Excel Macro is a collection of steps that were automated with basic coding. The collection can be a complex series of tasks or as simple as changing a font, but once the code is written, the Macro can be run and the tasks are completed automatically. How do you create a Macro? Thankfully, Excel has made it fairly easy, starting with Excel 2013. You can actually record your keystrokes to create a Macro. All you have to do is go to View --> Macros --> Record Macro. From there you will want to give your Macro a name, decide where to store it, and give it a description if you'd like. As soon as you click OK, all of your actions will be recorded. Everything from window resizing to typing to scrolling. If you use a version of Excel from before 2013 - or you don't want to use the recording option - you can manually create a Macro. This takes more time and at least a basic knowledge of VBA (Visual Basic for Applications), the programming language for Excel. If you'd like to learn how to write your own Macros, we highly recommend taking a webinar or course on the subject. There is a reason Excel requires you to enable Macros before using them. You should always make sure the Macro you want to use is legitimate and from a trusted source. Why? Macros can make changes to files outside of the one you're working in, so if you run a malicious Macro you're putting your whole computer (and possibly network) and risk. The more complicated a Macro, the slower it is (and the longer it takes to run). If the Macro is too big, it might not be saving you any time. Keeping the Macro short also makes it easy to ensure it was run correctly. It's better to have several small Macros than one large Macro, so you can spot errors and failures easily. Yes, Macros were designed to be helpful and speed up your work. But they can also be used for fun and games. Literally, games. There is a way to play Monopoly and Wheel of Fortune in Excel. You should always make sure those Macros are from a trusted source, of course. But then play away.